Hand up if you're super-excited by E3!? Not only will Microsoft not be showing off the new Xbox 720 but Sony will be making an immediate response by failing to announce the PS4. 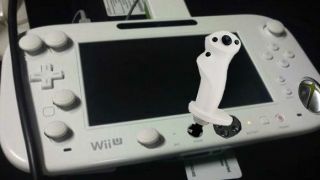 On the bright side, we will, of course, get to see what kind of batsh*t-mental games Nintendo have invented for the Weeeuuuuuuuuu (that's how the kids are saying Wii U by the way) that manage to use motion control + touchscreen + dpad + joysticks + microphone + heartbeat monitor + gyroscope + accelerometer + some other stuff. Actually, as we throw our cynic's hat James Bond-like onto the coatstand of enthusiasm, even without any major hardware announcements E3 is always a big part of the TechRadar calendar, and this year we are sending some of our US team over to check out the new stuff. Right, we've retrieved our trilby of sarcasm after exchanging some slightly creepy sexual banter with the ageing Miss Moneypenny, which means we can move swiftly on to massively hard-core 1337 games. Quick draw First up, erm, Draw Something. Sorry. Apparently Zynga has insisted that bad doodling in pseudo game is here to stay. We'll agree with that when winning actually means something. Hruumph. Hello Moto A court case in which the Xbox could be banned from sale in the US for breaching Moto patents (prediction: not gonna happen) has seen the Judge rule in favour of the phone giant. Somebody stop this patent lawsuit merry-go-round we are getting dizzy. Jubilee-ation Now as 7DiG is written in Britain, we're going to assume you all know about the Queen's Jubilee celebrations. Right? Anyone? Bueller? Well anyway, possibly as part of the jubilee celebration Activision has announced a brand new UK mobile studio. We can confirm that this actually means developing phone games and not just that it's in a caravan. Pour show It never rains but it…well Blizzards in this case. Diablo 3 is already under the critical cosh for its well-publicised server woes and now Blizzard has been forced to publicly defend itself against claims that user details were being compromised. Apparently good old fashioned password idiocy was to blame. 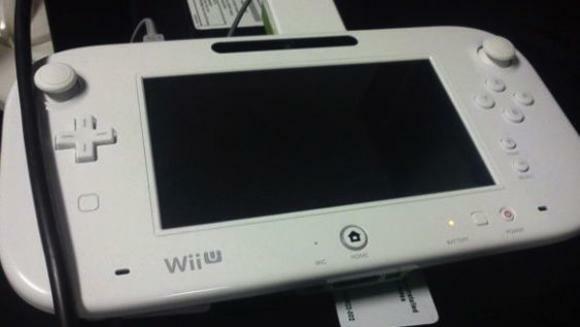 Weeeuuuuuuu This is how the revamped Wii U controller/tablet is going to look. We're a bit disappointed that the addition of the joysticks hasn't also brough a big analogue flight-controller style joystick at the bottom. So here's our customary link bait dangled in front of you like a tempting morsel of Ecco the Dolphin on a hook of gaming genius.